Hurricanes and tropical storms have ravaged the Caribbean. Central Asia and the Middle East are afflicted by drought. West Africa is facing the biggest swarm of locusts in more than a decade. Four destructive hurricanes and a tropical rain storm Alex, Ivan, Frances, Charley and Jeanne have occurred in a sequence, within a short period of time. Unprecedented in hurricane history in the Caribbean, the island of Grenada was completely devastated: 37 people died and roughly two-thirds of the island’s 100,000 inhabitants have been left homeless; in Haiti, more than two thousand people have died and tens of thousands are homeless. The Dominican Republic, Jamaica, Cuba, the Bahamas and Florida have also been devastated. In the US, the damage in several Southern states including Florida, Alabama, Georgia, Mississippi and the Carolinas is the highest in US history. Alex, Ivan, Frances, Charley and Jeanne (August-September 2004): Four destructive hurricanes and a tropical rain storm occur in a sequence, within a short period of time. Unprecedented in hurricane history in the Caribbean, the island of Grenada is completely devastated: 37 people died and roughly two-thirds of the island’s 100,000 inhabitants have been left homeless, in Haiti, more than two thousand people have died and tens of thousands have been made homeless. The Dominican Republic, Jamaica, Cuba and the Bahamas have also been devastated. Barely a year following the E-Systems purchase of APTI’s weather warfare technology, E-Systems was bought out by Raytheon, the fourth largest US military contractor. Through this money-spinning acquisition, Raytheon became the largest “defense electronics” firm in the World. This ‘final expanded stage’ envisioned by Eastlund, which will provide maximum capability to manipulate the World’s weather patterns, has now been reached. 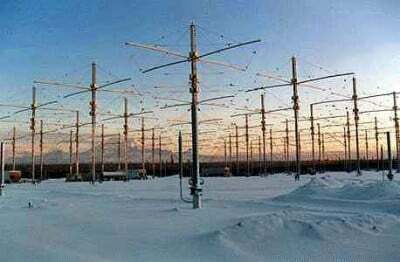 Meanwhile, BAE Systems had contracted with Jersey based defense electronics firm DRS Technologies, Inc in an $11.5 million outsourcing arrangement, the production and installation of the high-frequency (HF) radio transmitters for the HAARP antenna array. (See http://www.drs.com/press/archivelist.cfm?PRESS_RELEASE_ID=1529&preview=1 and Business Wire, 15 June 2004). DRS specializes in a variety of leading edge products for the U.S. military and intelligence agencies. ( http://www.drs.com/corporateinfo/index.cfm ).